There is an upcoming sports event which means a lot to you. You are a top football player and will be awarded during the show. What you need to do now is get things ready to look really impressive at the event. This means washing your sportswear and ironing it so that it looks really good. 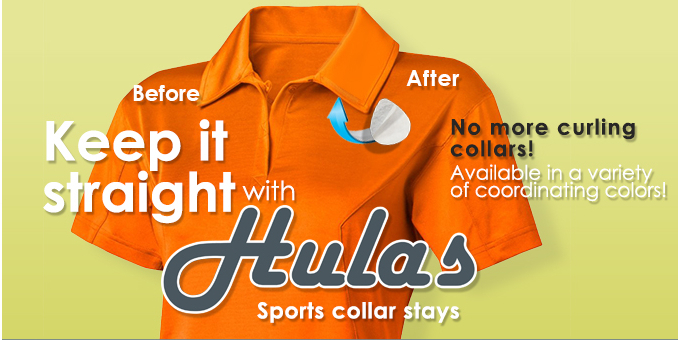 While getting the shirt ironed, you shouldn’t forget one thing the – the collar. The absolute mark of a well dressed man is the look of the collar. It must be pristine with not one crinkle in place. What do you do? Most people head out to iron it out and spend a lot of time on this job. Now this can be really difficult when you are hard-pressed for time. However there is a solution to this – making use of sport collar stays. What Are Sports Collar Stays? They are a small tool that can help your collar look perfect. When people look at you, they will see how well-dressed you are and be really impressed. You want to wow everyone at the sports event and apart from your sporting abilities, this is the sure way of doing it. A sports collar stay has to be affixed to the underside of the collar. It has an adhesive strip that helps it to stick to the collar surface. You can use one stay for as many as five times, after which the adhesive will wear out and the stay has to be replaced. Easy to use, these are very effective in giving a good look to your collar. No more curling or dog ear collars. This saves much of time and effort. When you are in a hurry, collar stays are the perfect way to look good without sweating over it. Sports collar stays can be used on any kind of sports shirts. They don’t cost much and once you start using them, you simply can’t do without. Just make sure that before you wash the shirt, you remove the collar stay and then put it into the washing machine. 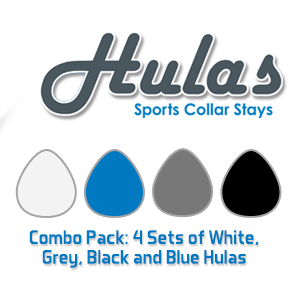 We also make sure that the color of your shirt matches with the collar stay by offering “hulas” in a variety of popular colors. 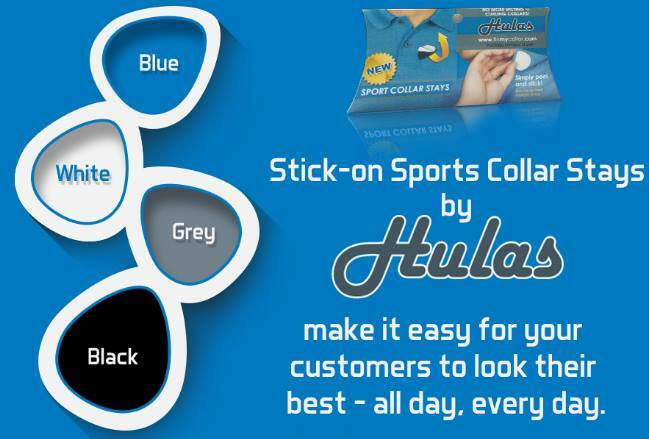 Just pick the color that matches with your shirt, pull out the adhesive, stick behind the collar and you are ready to go. Once you have inserted the collar stay, it is hardly visible. No one can see that you are using it. Yet it will be there keeping your collar stiff. Buy one right away to enjoy dressing smartly.